It was a Thursday morning and train conductor Wayne Caruthers spent it pushing tons of steel around Baldwin. 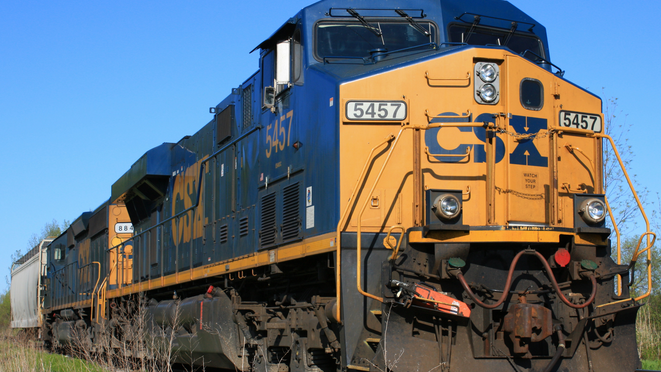 Using a bright-green remote control device attached to a vest, called a belt pack, he moved railroad cars around CSX Transportation’s switching yard. It was a job that Caruthers used to do with the help of a locomotive engineer and a switchman. The engineer’s locomotive would provide the power. Caruthers and a switchman would be on the ground throwing track switches and coupling cars. The men communicated with hand signals or over the radio. But that was before remote-controlled locomotives were introduced at the Baldwin yard last year. Now, it’s just Caruthers and a switchman, both with belt packs. The change isn’t only at CSXT. It’s happened at most railroads and sent shock waves through such a tradition-filled, old-economy industry. It also pitted railroading’s two dominant labor unions against each other by assigning jobs previously done exclusively by higher-paid engineers to less experienced trainmen.